Here is an album which through conviction alone transcends its own puerility, an album steeped in obtuse sentimentality and problematic politics but which, in its earnestness, is adversely affected by neither. Cynics will scoff, but 4 is so fervently committed to its own wide-eyed claims of empowerment and liberation that, like a hopeful child espousing the virtues of world peace, its naivety emerges unassailable. This is an album of gleaming pop platitudes, an album not so much by but of Beyoncé, or Beyoncé-by-committee. It’s a collection of twelve songs culled, as Wikipedia tells it, from the 85-odd complete works submitted to and vetted by her label. The result feels like less an artistic statement than a wholly commercial product, though one designed to forge a believably personal bond with each and every one of its listeners. That Beyoncé can actually sell such a bond—that 4 does indeed feel personal even if it resolutely isn’t—can only be a testament, corny though this may sound, to her power. Much has been made of 4‘s nostalgia for pop icons past, and it’s true that many of its strongest ballads, particularly opener and album highlight “1+1,” attempt to synthesize a well-curated melange of conspicuous influences in order to lend themselves the vaguely “timeless” quality of the veins of balladry into which she taps. But if at times 4 recedes into a catalog of classics, it’s less a romantic gesture than an attempt to find a venue for the virtuosic vocal performances that are Beyoncé‘s real bread and butter. The content of these songs may be almost remarkably vacuous, but that’s sort of the point, because it gives Beyoncé an opportunity to show off just how convincingly she can forward even the most shallow, underdeveloped sentiment. When she pleads, on “1+1,” “Make love to me,” there’s an earnestness in the delivery that’s disarming. Cringe-worthy lines on paper, or even in the mouth of a lesser performer, are here alternately devastating and euphoric. The success of 4‘s ballads (of which there are a great many) hinges entirely on the believability of Beyoncé‘s delivery, and part of what makes this such an interesting if flawed pop record is how often she seems to set herself up for failure. The piercing, hard-edged “I Care” must have felt like a safe bet from the start, but on a song like the Frank Ocean-penned “I Miss You,” Beyoncé has nothing to hide behind: built around a simple, almost quaint idea, it requires such self-serious candor it’s astounding how well it works. Of course, self-seriousness and candor are also the principal reasons for existence of inexcusable missteps like “I Was Here” and the practically archaic power-ballad (and completely inexplicable second single) “Best Thing I Never Had,” but such a strategy is not without its risks in the same way that mainstream pop records are not without their filler. And of course it wouldn’t be a future-platinum Beyoncé album if it didn’t include an obligatory crossover club anthem, and if “Run the World (Girls)” doesn’t quite reach “Crazy in Love” heights it’s still pretty exhilarating on its own terms. “Run the World” finds Beyoncé copping M.I.A. by way of a well-appropriated (if heavily leaned on) Major Lazor sample, and the result is a banger that’s both enormous and enormously stupid (in a good way). It feels about as empowering as a tampon ad, but like the saccharine ballads which precede it, Beyoncé sells the sentiment like she’s selling her soul. At its best, 4 manages to make pop cliches feel fresh again. There’s something pure about full-bodied songs built around stuff as simple as “missing you” or “caring.” Perhaps it’s simply that Beyoncé, incapable of matching either the faux-art posturing of a commercially cultivated “oddity” like Lady Gaga or the bleeding-heart melodrama of a visibly “authentic” working class Brit like Adele, is left holding the line where doing straight-up emptiness but doing it really well is the only niche left. She’s still a nearly peerless vocal performer, and if that’s the one edge she retains over her otherwise edgier contemporaries, then it’s probably for the best that her material be simple enough for her voice to really shine. 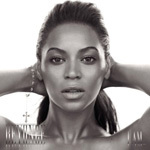 Though I Am…Sasha Fierce (2009) wasn’t exactly a detour into experimentation to begin with, it was still a smart move to ditch any pretense of an alter-ego and re-embrace the no-frills approach to love ballads and pop jams that endeared the nation to Beyoncé from the start.